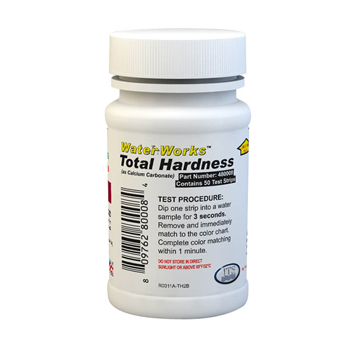 Total Hardness test strips for water quality are the ideal solution for many projects that need to detect levels of calcium and/or hardness in drinking water. Offered in a variety of packaging options ,Total Hardness test strips are perfect for service work, classroom demonstrations, or to give to customers instead of an expensive service call. Contains 50 test strips, detects calcium and other hardness in water in under 1 minute. 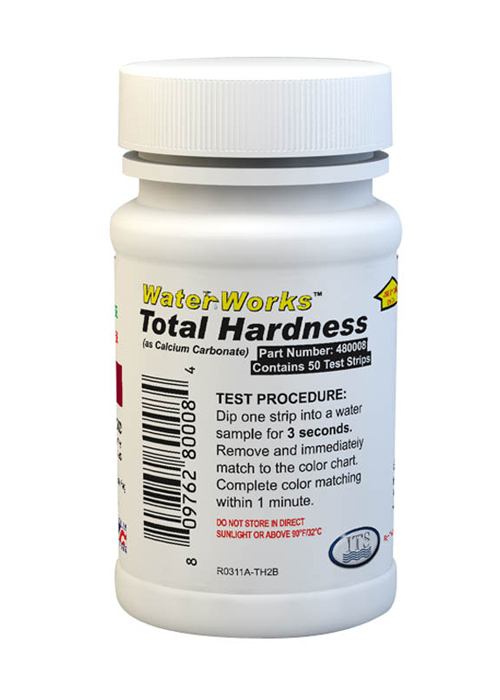 Total Hardness test strips for water quality offer a wide range of detection and calibrated to be both accurate and sensitive. Low cost and high accuracy these strips are on the spot and time-saving.No more counting drops or waiting for laboratory results, no MSDS required. 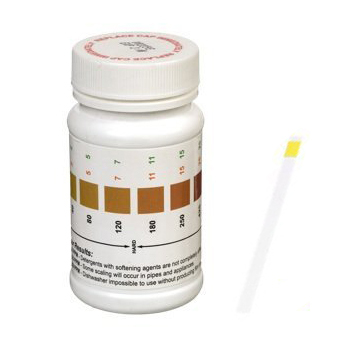 With total hardness water quality test strips you are in control and can find out exactly where your calcium level is before it becomes a problem. Can be used to identify scale and calcium problems for existing Water Softeners and Anti-Scale Water Conditioners, or before purchasing new equipment.